You maybe have seen this on the Tube of You, but in case you haven't, you're in for a treat. Here's the great Fatha' Hines, the Earl of jazz piano, demonstrating the art of syncopated piano playing as it evolved through the decades. He should know, because he played a major role in its development. The Yale-looking fellow who does the introduction is Ralph J. Gleason, esteemed critic and jazz historian (later SF rock 'n' roll champion). I never liked him much, but Hines is extraordinary. Watch, and be awed. The show, by the way, is Gleason's "Jazz Casual," a TV program that ran on NET in the '60s. This clip probably ran in 1961 or '62, judging by Ralph's coif. Here's a side I just acquired a few weeks ago. There's a story that goes with it, and I know you're not surprised to hear that. I live in the foothills of New York's fabled Catskill Mountains and, while it's still quite rural, it's not quite as remote as when I moved here 30 years ago. One thing we have a lot of is vacant or abandoned houses, and there was one right down the road from me. It was a nice clapboarded bungalow, empty for a number of years – until this summer. A young couple from New York City bought it and have been working to put it back into shape (and succeeding very nicely). They dropped by one afternoon for a meet-and-greet and, while touring through my humble abode, they noticed all the vinyl around the place. "Are you into records?" asked the young lady. "Yes, you could say that," was my reply. "Well, the previous owner of our house left lots of old records in the garage. What kind of music do you like?" "Me? Oh, jazz mostly," says I casually. "I think they are jazz records – isn't that right, Albert?" The husband assayed that it was so. "Would you like them? You can have whatever you want," says she. A few hours later, there was a knock at my front door (nobody ever comes to the front door) and there stood my new neighbor. "Here are a few of the records that I could grab. I'll get the rest once we clean out the rest of the stuff in the garage," she said. "Are these any good?" I took a look. 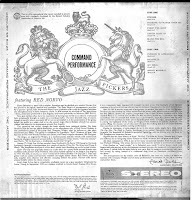 Among the pile were an RCA X label 10" rural blues record, ultra rare, a Riverside 10" "Origins of Jazz" EP with Furry Lewis' first recordings, and the record that is the subject of this posting. Needless to say, I was very pleased. Harry Babasin was an institution on the West Coast in the 1950s, a bass player who worked steadily both in and out of the studios. He did many sessions as a sideman for Lester Koenig's Contemporary label, but also recorded with the great Oscar Pettiford, both of them plucking cellos. 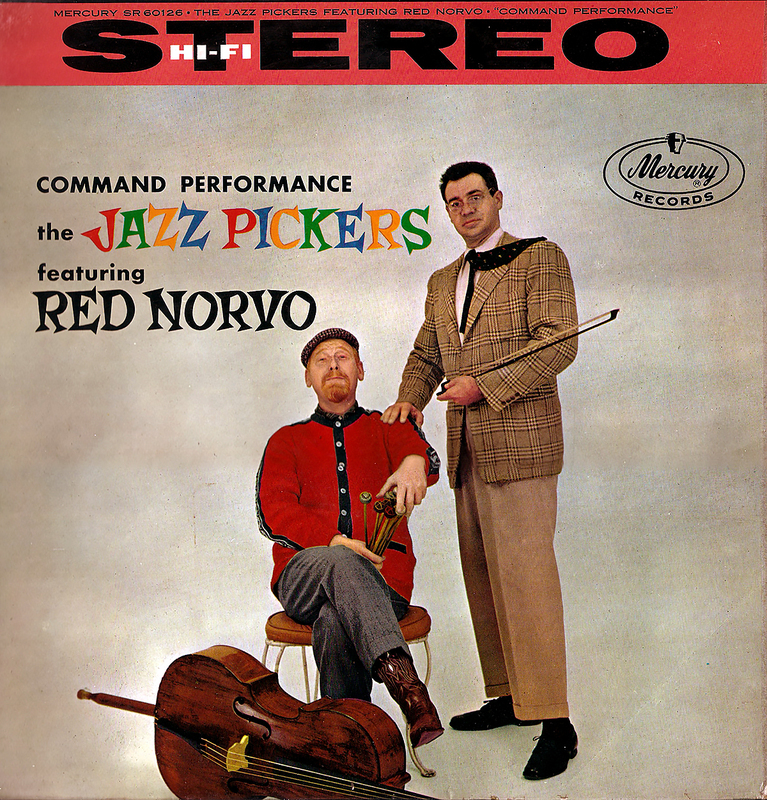 He plays cello here, this time with swing jazz legend Red Norvo joining him on vibes. 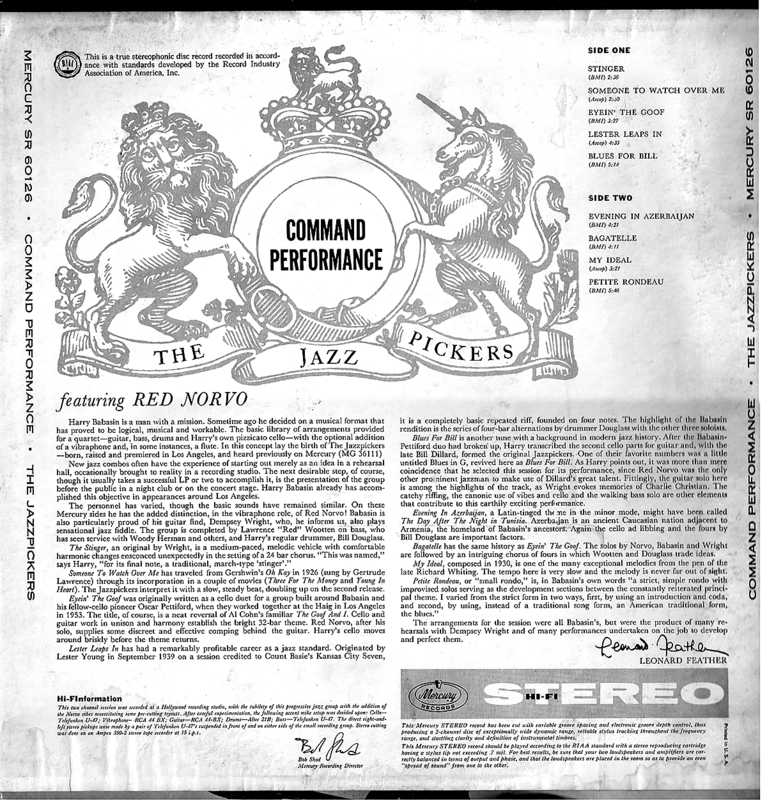 For this LP, the second of three albums produced by the Babasin/vibes collaboration – the "Jazz Pickers," he called them – the group features Norvo, who would later be replaced by Terry Gibbs. Red Wooten is the bass player (Babasin sticks with the smaller instrument) and Bill Douglass plays drums. Harry's discovery, Dempsey Wright, plays guitar. 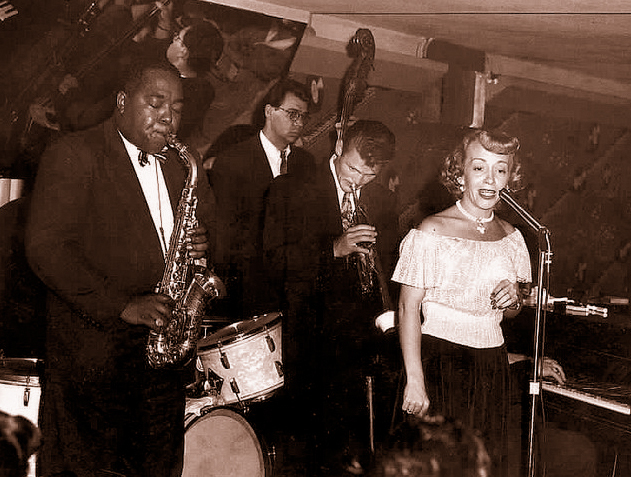 Wright would record his own album later in 1958, displaying great talent as a jazz guitarist, and then promptly disappeared from the scene. He supposedly moved to Little Rock and lived there happily ever after. So here is some long-garaged vinyl, courtesy of my new neighbor. I hope to acquire other treasures from the former owner's stash before long, and I will certainly share any gems that turn up with all of you. As always, these files were ripped from the original LP, with only a little cleaning up of the sound. 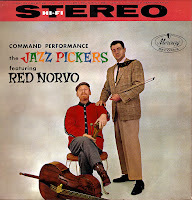 Harry Babasin, cello; Red Norvo, vbs; Dempsey Wright, g; Red Wooten, b; Bill Douglass, d.